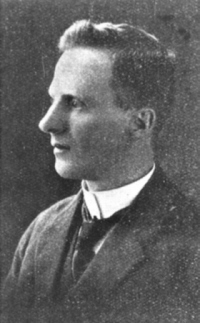 James Pound was highly educated receiving the following degrees from the University of Melbourne: Bachelor of Science (1909), Master of Science (1913) and Doctor of Science (Chemistry - 1923). 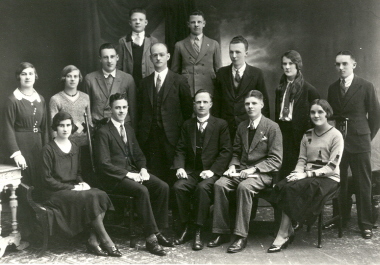 He was appointed to the Ballarat School of Mines (SMB) in 1918 and delivered his last lecture on 22 April 1948. Dr Pound has a most distinguished career at SMB, not only for his professional services, but also for his extra-curricula activities. Dr Pound was a member of a number of scientific societies, including Australasian Chemical Institute, the Australasian Association of Chemists and Metallurgists, and the Victorian Society of Chemical Industry, and a Fellow of the Chemical Society (London). He was a regular contributor to scientific journals. A man of many interests, Dr Pound was associated with the Ballarat Fine Art Gallery, The Ballarat Mechanics' Institute and the Ballarat Literary Society. He was founder of the SMB Literary and Debating Society, and foundation member and editor of the SMB Students' Magazine, which was first published in 1899. The SMB Student's Magazine of 1948 reported: On the day of James Pound's retirement, a full gathering of staff in the English Room, over a pleasant cup of morning tea, took the opportunity of congratulating Dr Pound on reaching the retiring age, expressing appreciation of the work he had done in the school, and wishing him happiness and ease in retirement. Special mention was made of his popularity with students, as well as the great service he had rendered in connection with the magazine, and as founder and vice-president of the Literary Society. Dr James Pound died at Melbourne on 21 February 1967, aged 78.